April 1st – May 8th on Mondays and Wednesdays 9 am – 12 pm, PACE is hosting the REDi program. GET REDi: Traditional employment may be difficult to find if you have a criminal history. Fortunately, entrepreneurship is a viable option. GET SET: Get set by learning the skills and tools necessary to start your own business. 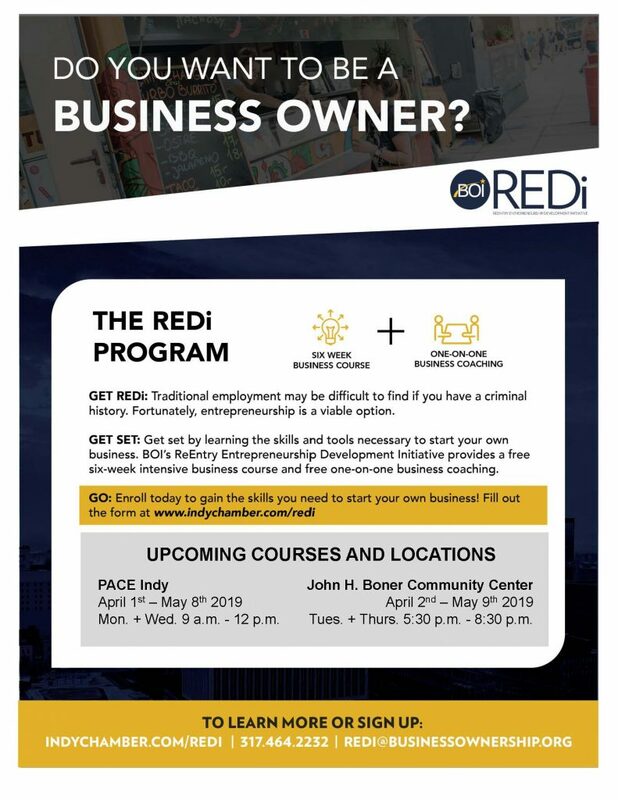 BOI’s ReEntry Entrepreneurship Development Initiative provides a free six-week intensive business course and free one-on-one business coaching. GO: Enroll today to gain the skills you need to start your own business! Fill out the form.